A member of the National Alliance who is a law student wrote the following report on a recent act of conscience he committed in Washington D.C. He will remain unnamed here, so that he can finish his law studies unmolested and then participate even more forcefully in the struggle for a racially progressive future. Enough is enough, I told myself, as I read the announcement on my school's bulletin board: “Law Student Anti-Apartheid Demonstration at South African Embassy. Racism Must End. Point of contact: E. Cohen.” Anti-apartheid demonstrations had been occurring continuously at the South African embassy for nearly six months; it was now, it appeared, law students' turn to perform their duty. These demonstrations had angered me from the beginning, but this particular one was more than I could stomach. 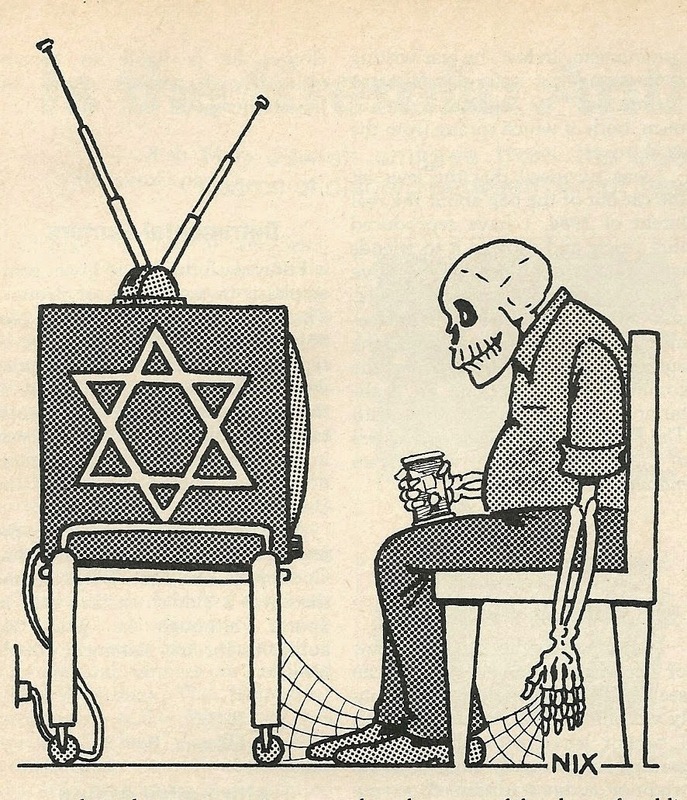 The more I reflected on the large role played by the Jews – many of them staunch Zionists – in the demonstrations and on the total prostration, the total lack of racial pride, among my fellow White law students, the less I was able to ignore what was going to happen. I finally decided that I would attend the demonstration – to demonstrate against it. I spent the day before the demonstration at my house preparing two placards. One of them read: “Stop the Anti-White Double Standard.” The other read: “Why No Protests Against Israel's Human Rights Violations?” I also went to the Library of Congress, where I prepared the text for a leaflet detailing human rights violations in Black African countries and in Israel. I did not presume I could reawaken any White racial pride in the benighted souls of the White demonstrators, but I thought I could at least point out the hypocrisy of their actions. I showed up at the demonstration with my placards and my leaflets, expecting to see a dozen or so of the students from my law school. I was astonished to encounter a loud and swirling mass of some 200-300 demonstrators marching on both sides of Connecticut Avenue, carrying placards, and shouting slogans. The demonstration, it turned out, had been coordinated among all the law schools in the Washington area – there are six or seven – and among young working lawyers as well. I surveyed the scene for a moment. I knew I would get lost in the crowd if I went too far into it. An idea occurred to me. The demonstrators on one side of the avenue were marching in a large, elongated circle, which extended out onto a nearby bridge. I took up a position on the bridge about 15 feet from the point where the circle broke to go back in the other direction. I held my placard about Israel in front of me. Every person in that circle was obliged to read it. Somewhat surprisingly, there was very little reaction. Most of the protesters read my placard in silence. A couple of the Blacks raised their fists and said: “Right on, brother!” There were only two comments from the Whites/Jews that I heard. One said, “Who's paying you?” Another said, “The old divide-and-conquer technique, eh?” After a few minutes a fellow with black, curly hair, who was apparently an Arab, broke away from the circle and came over to me. He said, “Man, I don't think this is the right way to raise the people's consciousness.” We proceeded to argue about whether it was appropriate for me to do what I was doing where I was doing it. At this point a Black woman with a megaphone decided to extend the marcher's circle further onto the bridge. This had nothing to with me, but it was clear that I was in the way. I decided to stay where I was. No problem: the circle just formed around me. I spent the next ten minutes or so holding my placard in the middle of the circle, as the demonstrators marched around me. At length I decided, somewhat dejectedly, that I wasn't really accomplishing anything. I thought I would do better to show my placards to the cars passing on Connecticut Avenue, so I extricated myself from the circle and took up a position toward the far end of the bridge, facing the traffic. I held up my other placard, about the anti-White double standard. But this was an even more discouraging experience: in very few of the passing cars did I see a White face. Black, Brown, Oriental – are there no Whites left in Washington? I spat out my revulsion: “You're the sick one!” Then I walked away. Regarding the article in the May issue by A.F. Svenson, “Ethics and White Liberation,” I agree wholeheartedly with Svenson's principal conclusion: namely, that we need a firm moral basis for our liberation struggle. I would like to point out, however, that one of his theses is faulty. Svenson asserts, in essence, that Nietzsche was amoral, that the philosopher of the Superman was nothing more than a survivalist and that he provided only a “cavalier treatment of moral values.” This leaves the reader with the impression that Nietzsche was nothing more than a watered-down Germanic copy of Ayn Rand. Nietzsche's writings are voluminous, with commentaries on a large number of topics. As with the Bible, they may be selectively used by persons with preconceived notions to “prove” almost anything about the philosopher's views. What is unarguable is that Nietzsche was an iconoclast, with Christian icons being particular objects of wrath. Many traditionalists have never forgiven him for that. 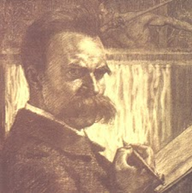 It is also true that Nietzsche, who referred to himself as “the Immoralist,” wrote of the need to “overcome morality.” Many people, I am sure, have simply accepted that at face value and not understood that he preached against the established and conventional ideas of ethics in order to replace them with a new and higher conception of morality. All of his writing is moral in nature. 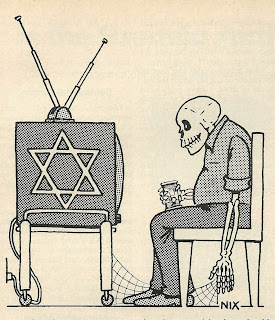 Christian morality...is Semitic in its origin and essence. for eternal bliss and his fear of damnation. In truth, Nietzsche demanded a more exacting morality-and a more unselfish one-than any other ethicist. Christian morality -- the morality against which Nietzsche most often preached -- is Semitic in its origin and essence. The Christian's morality is anchored in his desire for eternal bliss and his fear of damnation. The Christian does good works and abstains from sin in the hope of a very personal reward, even if he must pass into the next world to obtain it. Nietzsche, by way of contrast, imposed upon us the burden of preparing the way for the coming of the Superman, and promised us no personal reward for accepting our responsibility for this task. Or, to look at it another way, the virtue that Nietzsche preached is its own reward. A very superficial reading of Nietzsche has left many with the impression that he preached hedonism and egoism. This is an utterly false impression. In truth, he preached a selfless love of what man can become and of what the world can become. He also preached an active love that requires self-mastery and truthfulness before it can be effective, a love which requires a casting off of superstition and a contempt for all folly and weakness and decadence. what is lovable in man is that he is an over-going and a down-going. for they are the over-goers. and arrows of longing for the other shore. to the earth that the earth of the Superman may hereafter arrive. in order that the Superman may hereafter live. Thus seeketh he his own down-going. lightning and succumb as heralds. the lightning, however, is the Superman. Svenson might have hit closer to the truth if he had admitted that Nietzsche's morality is too exalted for the average man. He might have pointed out more forcefully the folly of climbing out of the pit of Christian superstition and Semitic morality, only to fall into the pit of egoism and hedonism. He is utterly right in cautioning us that if we throw morality overboard, we lose our greatest source of strength for the liberation struggle. But he is utterly wrong in rejecting -- or in failing to understand, or perhaps even to see-the morality of Nietzsche. It may be that Nietzsche's morality is beyond the grasp of the average man, and that none of us is advanced enough to live fully in accord with it. Nevertheless, it is the morality which can sustain our struggle to a victorious conclusion. contempt for all folly and weakness and decadence.